If you are receiving this email, I am assuming you are like me and keen to get outside, even in weather that’s not postcard-perfect. Therefore, I thought you should know about a cool outside event taking place this weekend, and next weekend. 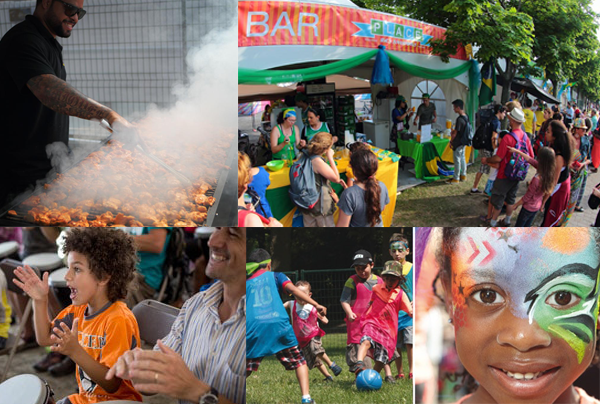 It’s Les Week-ends du monde at Parc Jean-Drapeau and for the past 2 years, it has included the Fête des Enfants de Montréal which used to be its own event. What does this mean? Well, it means that the weekend is chock-full of activities for both the parent in you and the raging outdoor party animal in you (unless that part of you has been spayed or neutered). If you’re interested in exposing you and your family to different cultures, this is one of the best ways to do so. You’ll have over a dozen countries showing off their finest art, food, dance, activities, music and a plethora of other things. Also, Pre 6:00pm = families and kids. Post 6:00pm = Adult fun, DJs and booze – basically a multi-cultural Piknik Électronik… so take your pick! Since each day of the event is sort of divided into 2 parts (AM for families and PM for adults) you can make a pretty clear call on when to go / how to plan your day. It’s free… 100% all inclusive free. For real. It’s at Parc Jean-Drapeau so you can make a serious weekend out of this since there’s a billion things to do there! It’s not supposed to be the most beautiful of weekends, weather-wise, so, bring a rain jacket and umbrella just in case. Lots of people, lots of movement, lots of noise – keep an eye on yer kids please! Depending on the weather you may actually get hit with a serious bug annoyance. Bring some bug spray just in case. 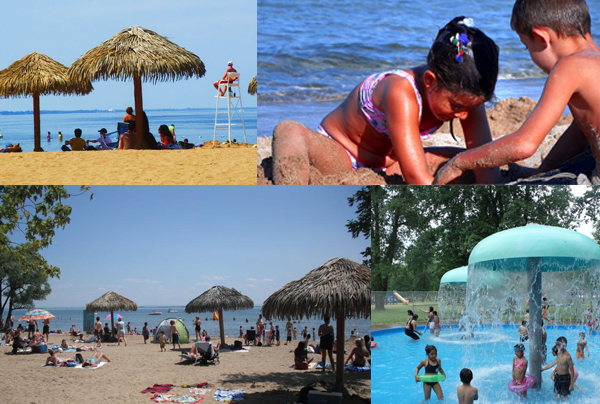 Les Week-ends du monde: Parc Jean-Drapeau, 514-872-6120. Official Website (+ Area Map to save or print beforehand so you know your way around… the signage lacks clarity at times). A really good detailed summary of what’s going on. Pick your transport option wisely. For example, park somewhere, anywhere, else than the park and take the metro. You’ll emerge from the metro right smack dab in the middle of the event! Or take the maritime shuttle (boat taxi) over to the park from Old Montréal. If you do the same coming back, you can treat yourself to a little Old Montréal evening stroll as well to cap your day. Again, although this coming weekend might turn out to be kind of grey, I decided to include the beach here so you could at least save it for later, and so that you could have it in your brain with a couple more months left of summer. We had the chance to go to La Plage de St-Zotique last week, on a beautiful day during the week and we were blown away! Probably largely due to the fact that we had never been there before, but also because we felt like Californians living the west coast hop-in-the-water-whenever-we-feel-like-it dream. The sand is super clean, the water was almost the opposite of freezing and the lake itself has a great gradual descent for kids to play safely. We felt like we were down south all day at some super cool all-inclusive resort (this resort didn’t actually include anything though). My 4yr old made new friends and played all day in the sand & water with them – it was some real HOP (Hands-Off Parenting) for me. There were not only families, but many couples and friends hanging out. The only catch here between when we went and if you go this weekend is that the vibe can be different, quite different. The weekend vibe is definitely cooler than the midweekers’, but not very relaxing, more of a party vibe. Music pumping from the speakers and lots of people sun bathing and barbecuing. So get a group of friends and hit the beach if “chu-down”! Tons of activities, you can go there all day and you won’t have time to do everything. You can rent anything! From a Frisbee to a kayak! (…but you should bring your own “parasol” since the ones they have there are stationary). Only $10 a person, free for kids under 5 years old if not it is $3 or $5 for kids between 5 and 12 (cash only). Again, the weather may not cooperate this weekend from a sunbathing point of view, if you plan on getting all tanned up. The washrooms are… let’s say, not the cleanest. It can get pretty busy during the weekend and pretty loud with the music, so arrive early if you want a great spot and if you want to pack up before the madness.